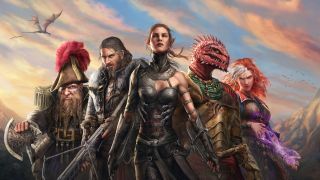 It wasn’t so long ago that the isometric CRPG seemed like an endangered species, consigned to annals of video game history, or at least the '90s when classic like Baldur's Gate were released. With the rise of crowdfunding and indie developers, however, the genre has returned in a tidal wave of spiritual successors and fantasy romps. So much of this resurgence is tangled up in nostalgia, though, begging the question: how does the genre move forward?